Hello everyone! This is our first opportunity to share some brand new stuff from the Annual Catalog! 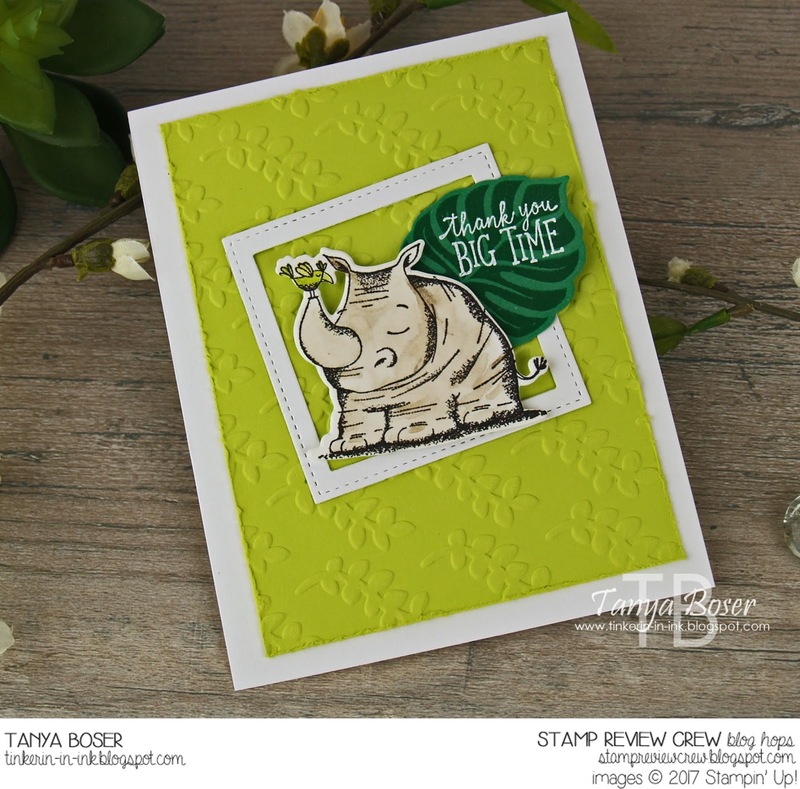 WE are featuring the adorable Animal Outing stamp set. I only had a moment to play with this set before this hop, but I can't wait to play with it again soon. 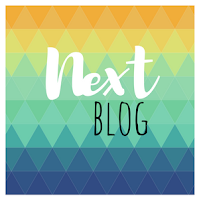 If you are following along in order, then you have just arrived from Yapha Mason's blog. She is sure to have a fun use for this set! I have just one project for you this time, and it is fairly simple. I did add a leaf from the Tropical Chic stamp set, but the main image and the sentiment are from Animal Outing. I actually stamped the rhino with the Stamparatus while riding in the car, can you believe it?! I watercolored it while riding in the car too. 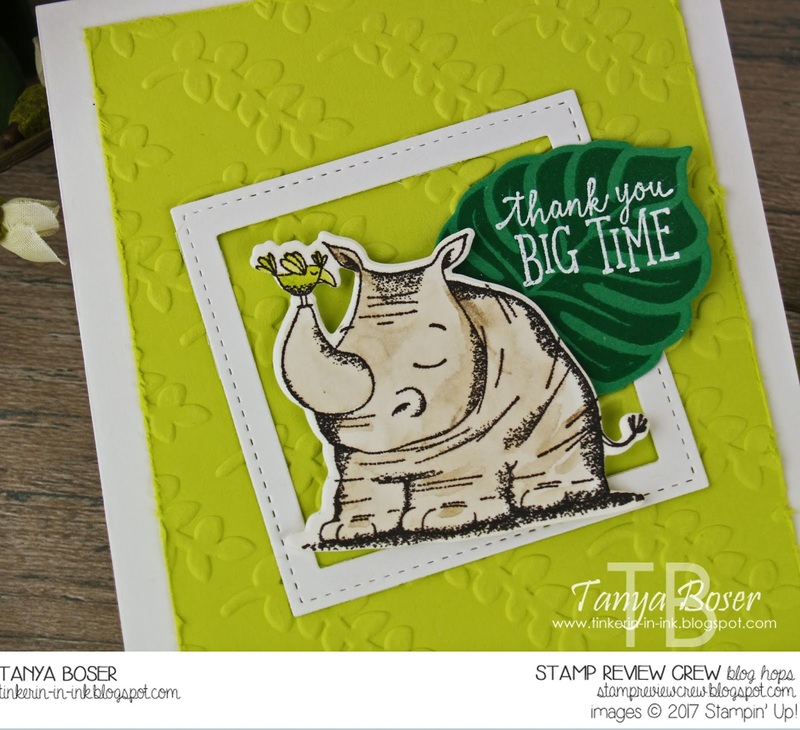 I used the new Gray Granite ink for the rhino, and it is perfect! 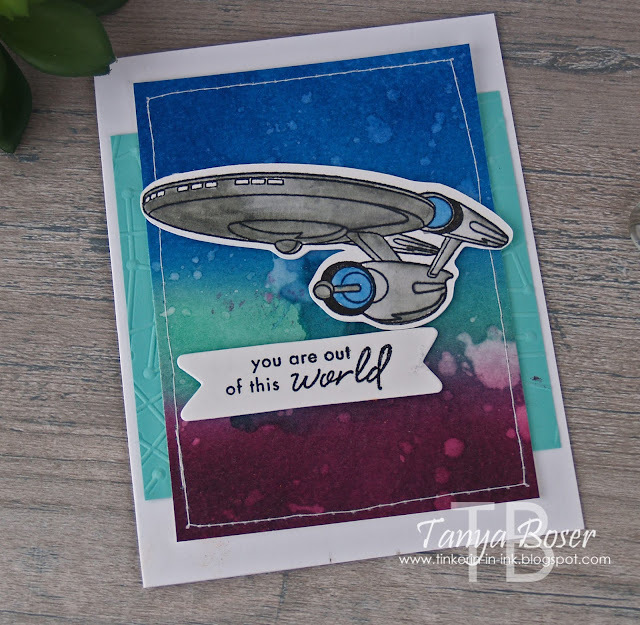 And I really wanted to use Granny Apple Green for the background, but I only got 4 sheets of the color right away. Lemon Lime Twist still looks great with it though! While I am loving the new color revamp, I couldn't get everything at once. And I really couldn't guess which colors I was going to fall in love with until I got them in my hands and played with them. Well, that is all i have for you, and I am the last stop on the hop. If you started somewhere in the middle, then Natalie Lapakko is your next stop! Here is Joseph. 14 years old, and full of questions! 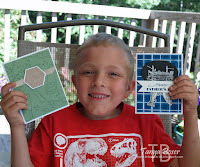 He was so excited to play with the Kindred Stamps pop culture stamps, he could barely contain himself! He decided to make cards for his Grandpa Craig, his stepdad (my son Dakota), and his new grandpa, Jamie. So Joe had to make this card. 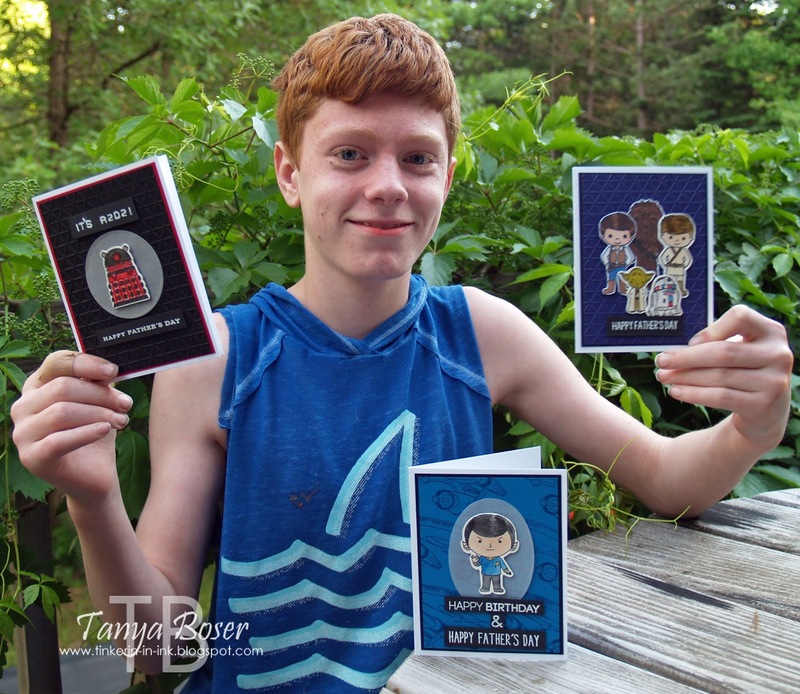 The images are from the Kindred Stamps sets Time Traveler and Galactic Adventures. 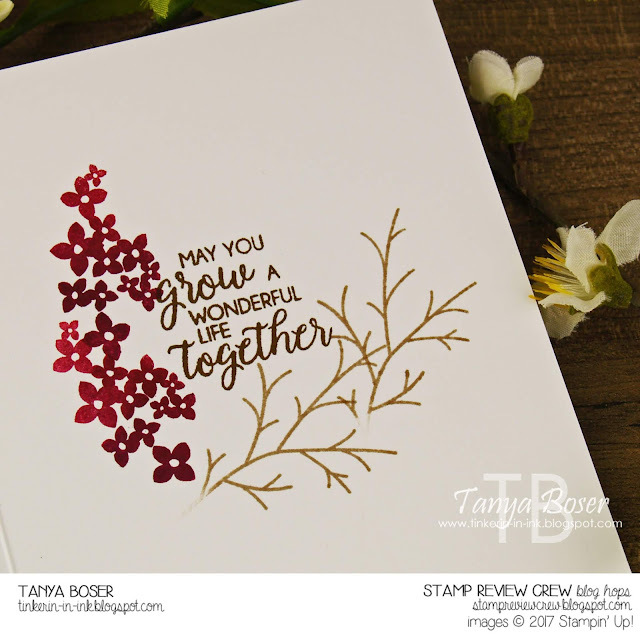 The words at the top were made with the Labeler Alphabet set from Stampin' Up! 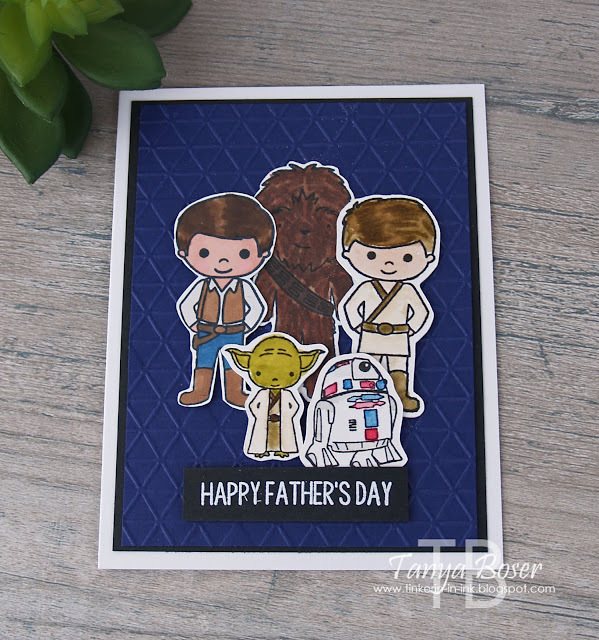 The "father's day" sentiment is from Papertrey Ink Keep It Simple: Father. That set got a lot of use that day! Last up was the card for his Grandpa Craig. 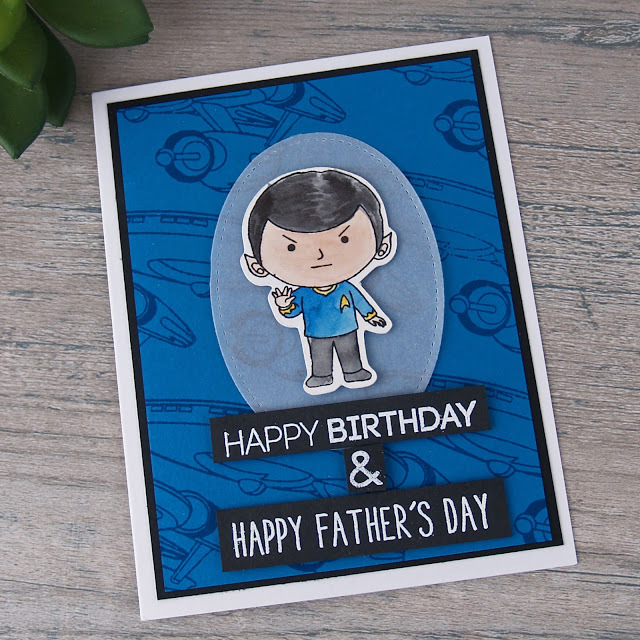 His birthday just happens to fall on Father's Day this year, so a combo card it is! Joe wanted his favorite Space Explorer to take center stage. The sentiments here are from the Papertrey Ink sets Keep It Simple: Father and Keep It Simple: Birthday. 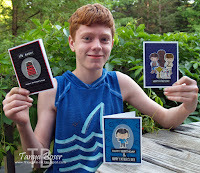 Joe is so proud of his cards!What do you think? 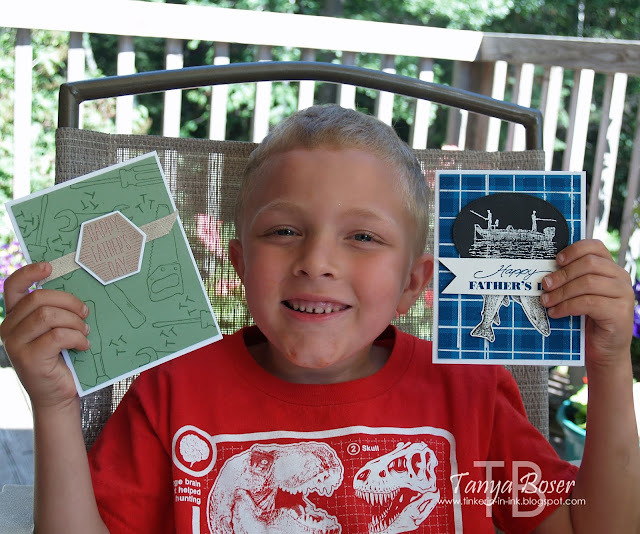 Is he another crafter in the making? This is Isabelle. Or Izzy. She is the very definition of quirky! She made cards for her Grandpa Craig and her stepdad, my son, Dakota. She spends every other weekend with her grandpa Craig, which is pretty darn special! 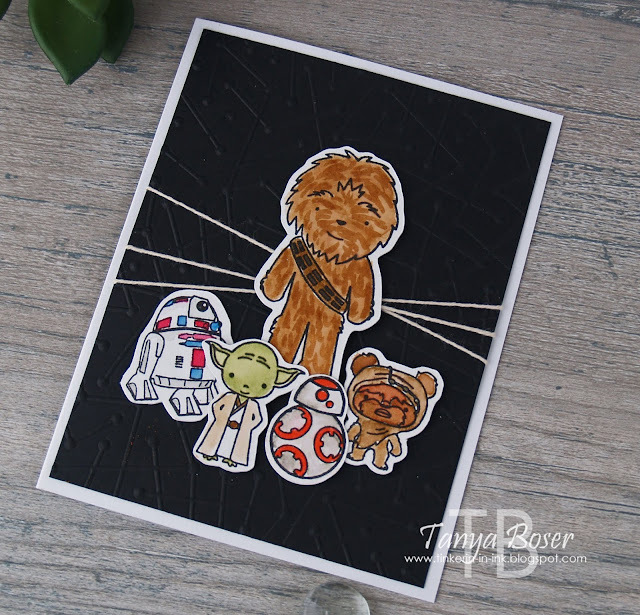 For her grandpa, Izzy wanted to do something featuring one of his favorite movies series. 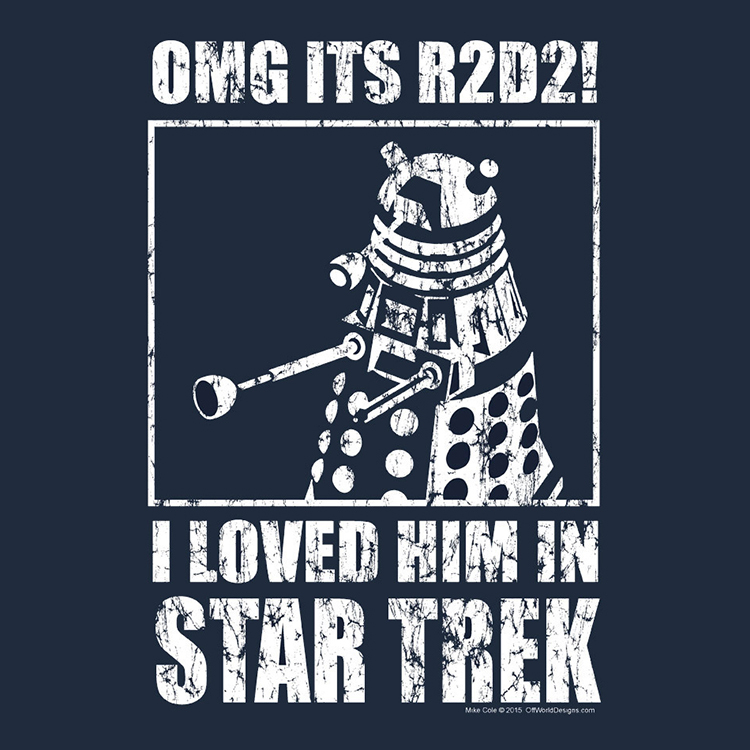 Sci-fi and space! 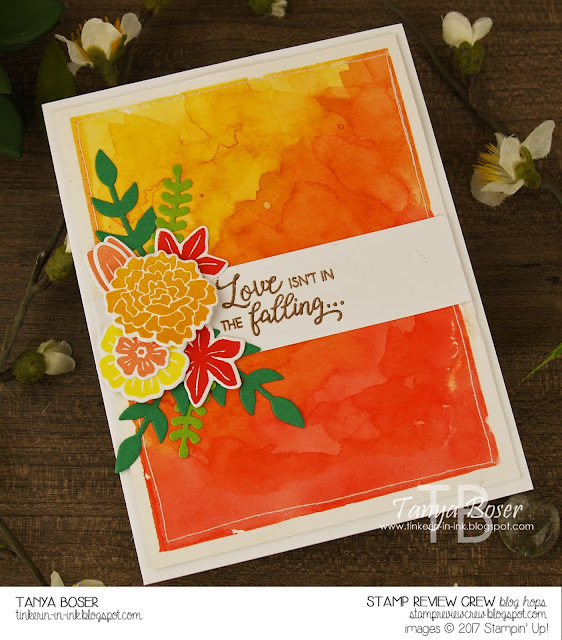 We did a watercolor sponge-and-spritz, which Izzy was loathe to cover up! Rich Razzleberry, Coastal Cabana, and Blueberry Bushel are the colors we used. 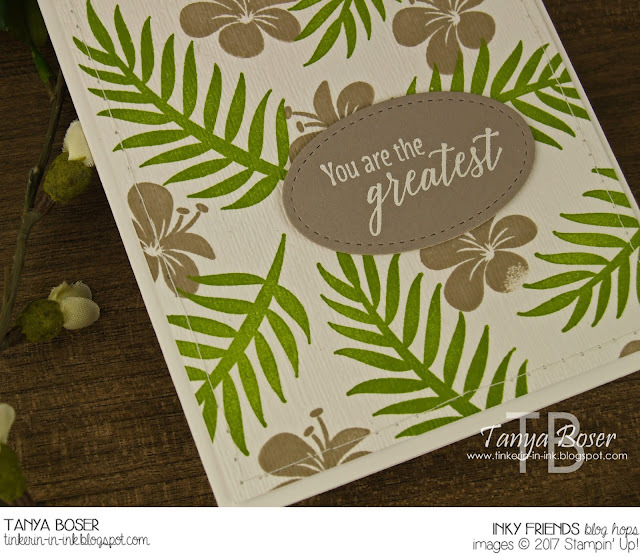 She embossed a panel of Coastal Cabana with the new Maps Etc. 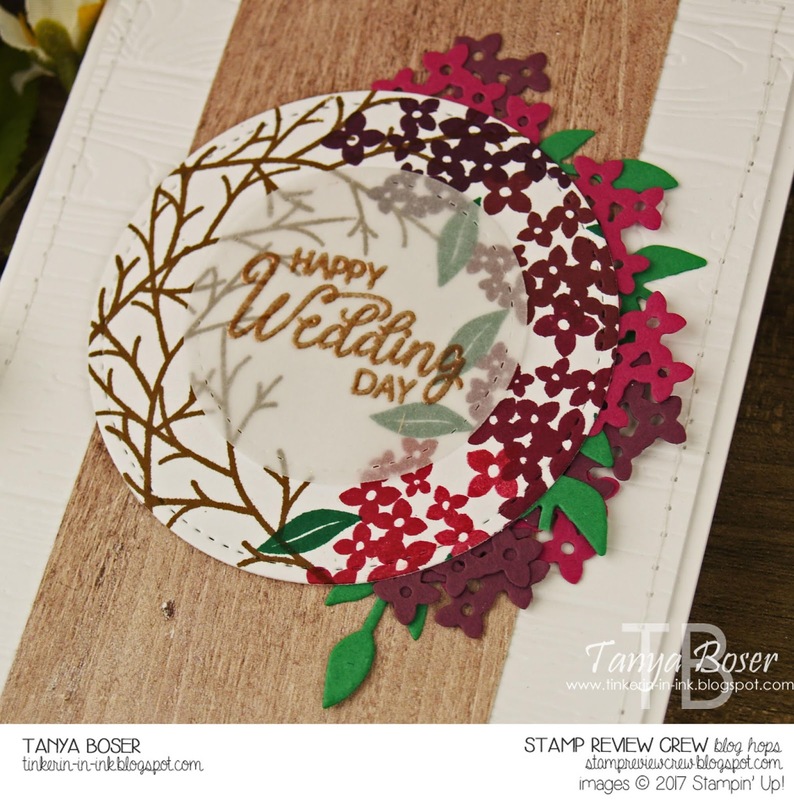 embossing folder from Stampin' Up! 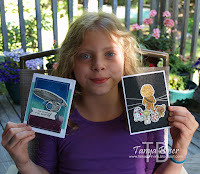 The stamps used here are Space Explorers from Kindred Stamps, and Dream Big from Hero Arts. 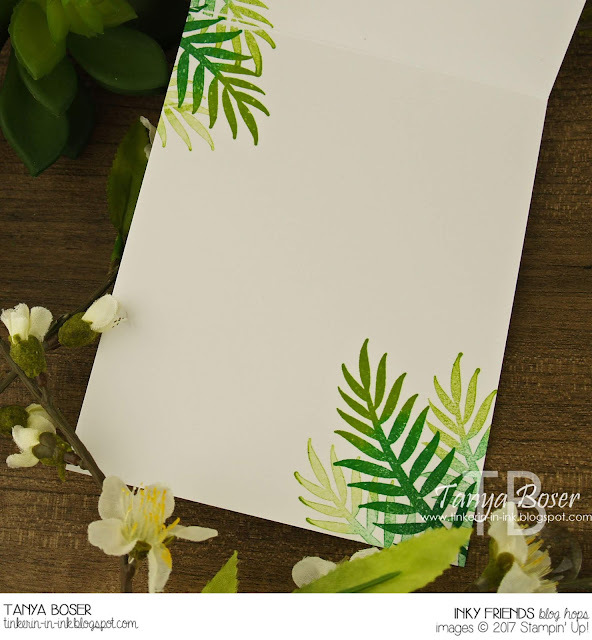 There are cut files available for sale on the Kindred Stamps website that work with my Silhouette Cameo, and I had a pile of these precut and stamped on watercolor paper. That made getting this card easy! I colored these images with a combination of Distress and Stampin' Up! markers. I colored the images incompletely, then came in with a watercolor brush to fill them in. I added texture to the hair and fur by coming back in with the same color marker and adding flick marks. Despite the lack of rainbows, unicorns, and the color pick, Izzy was happy with her creations. 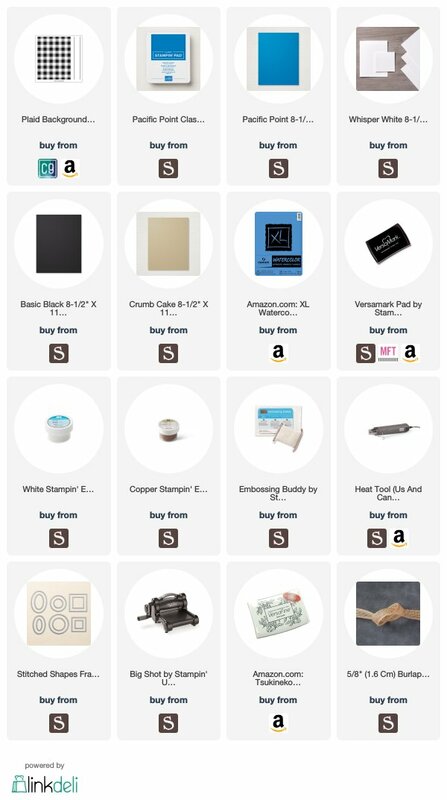 Here are the supplies that I can link to, and that I could remember! 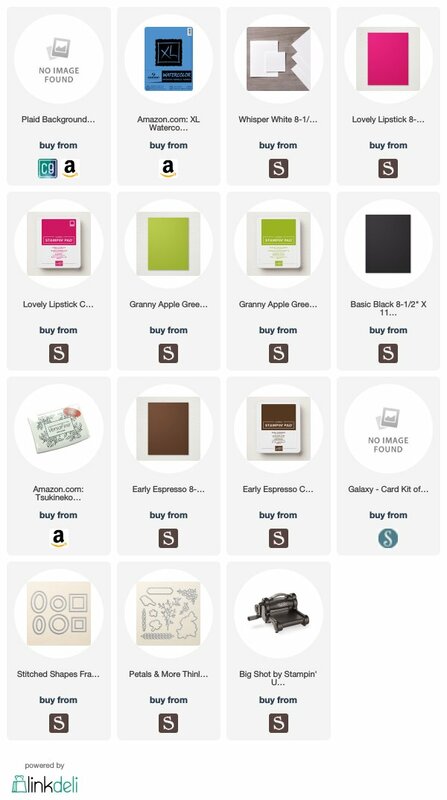 I did link to the stamp sets in the body of the post that I can't do affiliate links to. 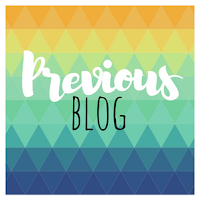 Today is Sophia's turn to be featured on the blog! She is 7 years old, and would spend all of her time in my craft area if she could. Not even kidding a little bit! She was here all weekend and was happily crafting either by herself or with one of her brothers the whole time. 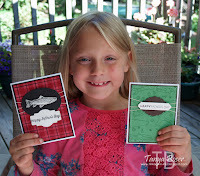 Sophia wanted to use the same stamp set for Dakota's card. But she chose the retired Cucumber Crush for the main color. If you haven't guessed by now, Dakota's favorite color is green 😉 And he is a rather handy fella to have around! We pulled out a Spellbinders die of the month, don't ask me which one. You should have seen my crafting area! 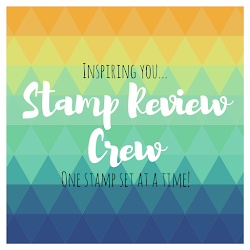 The stamp set is the now retired Nailed It set from last year's Stampin' Up! 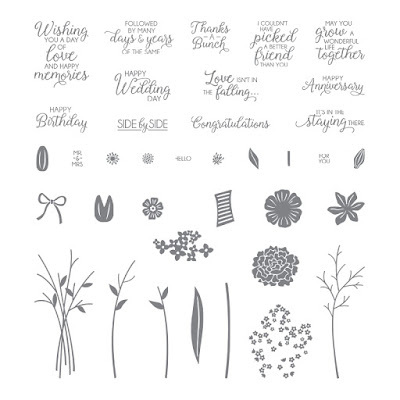 Occasions Mini. 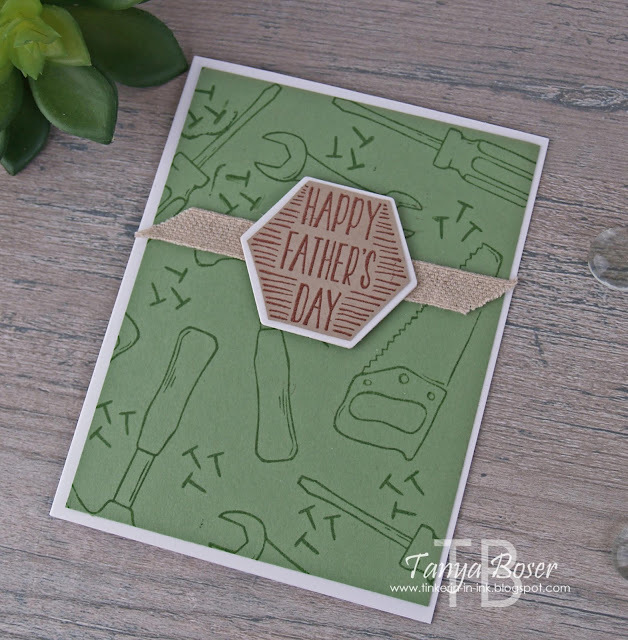 And the sentiment on the front is from the Keep It Simple: Father stamp set from Papertrey Ink. Inside she used Dad Jokes from Stampin' Up!, which just retired. This card started with the retired color Rose Red, coordinating ink, and Versafine Onyx Black ink, and the lovely Concord & 9th stamp set: Plaid Background. 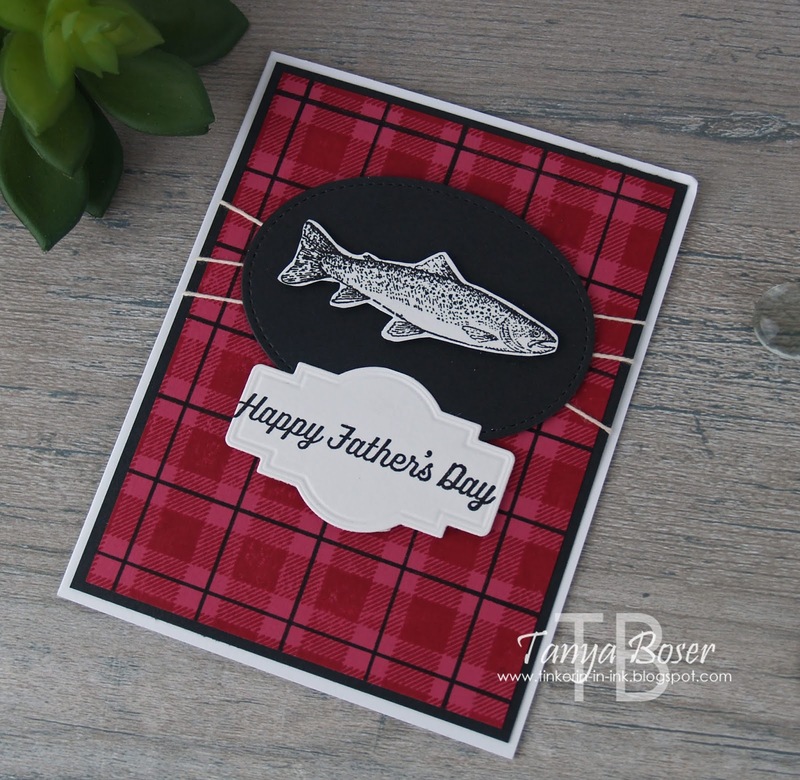 Then, the long retired Angler stamp set from Stampin' Up!, and the same sentiment set from Papertrey Ink: Keep It Simple: Father. Let's give it up for this sweet girl! Didn't she do a fabulous job?! 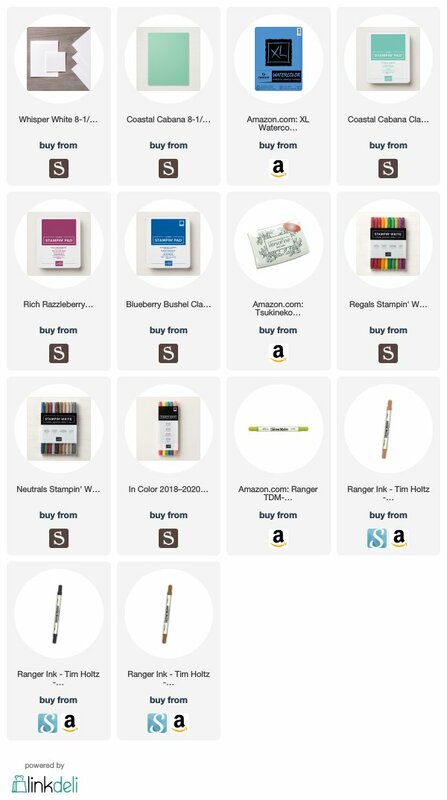 Here is a list of the supplies we used, but I used current colors that are similar to those Sophia picked. If you have followed me for very long, you may know that my #3 child, Dakota, got married in November. And that went from being a bachelor to being a married man with 4 children overnight! Well, this weekend Dakota's wife, Jen, asked if she and the kids could come make Father's Day cards with me this week. Of course, I said yes! 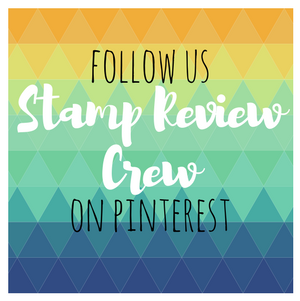 They were each given a turn for one-on-one stamping with grandma, and free rein to chose any stamps from my stash to use. And 9 cards later, we are all exhausted and happy with the results. I will be doing a blog post for each child and their creations. Today is Geoffrey, the youngest. 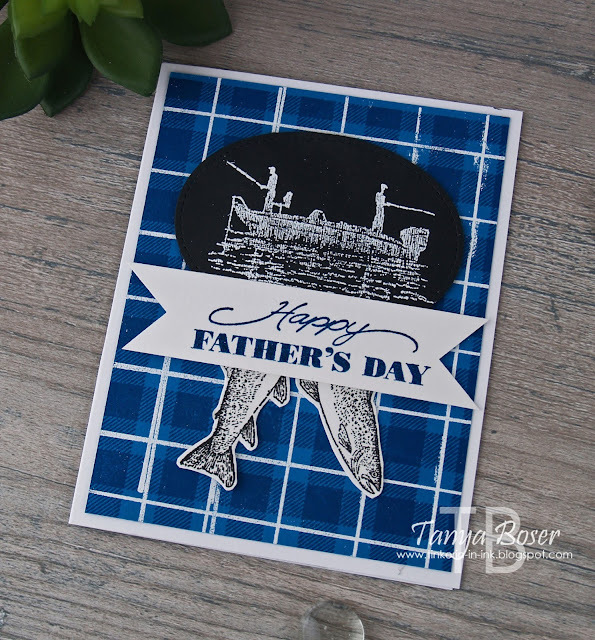 He made this card for his dad, and chose blue and fishing and plaid. All things his dad enjoys! 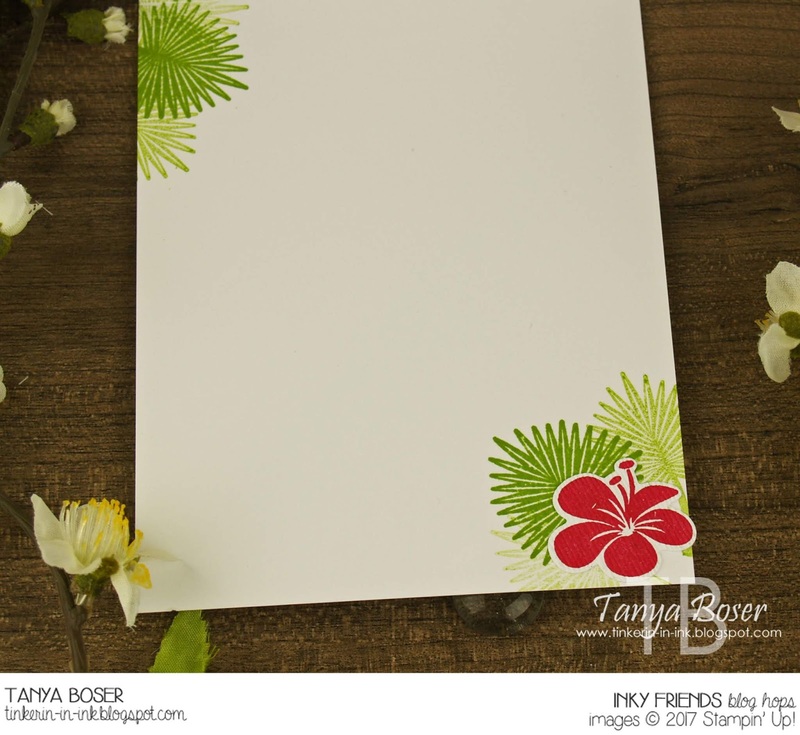 We started with Pacific Point cardstock and ink, and the Concord & 9th Plaid Background stamp set. The Stamparatus was very handy! There are white heat embossed stripes here. Then we used the very retired Angler stamp set from Stampin' Up! This is a set that I will keep in my stash forever. 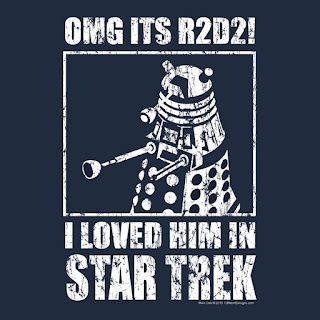 You will have to pry this one out of my cold, dead hands, lol! We white heat embossed the fishermen on black cardstock, then die cut with the Stitched Shapes oval. And the fish are stamped on watercolor paper and fussy cut. The sentiment is old also, I think it is Inkadinkadoo. 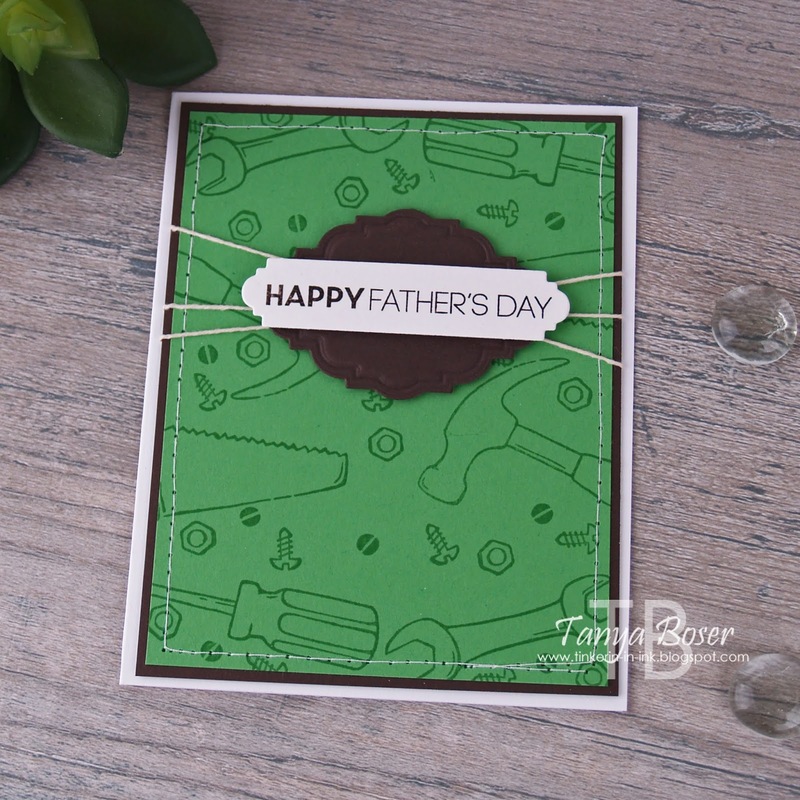 Inside of all of the cards, the kids used sentiments from the freshly retired Dad Jokes stamp set from Stampin' Up! 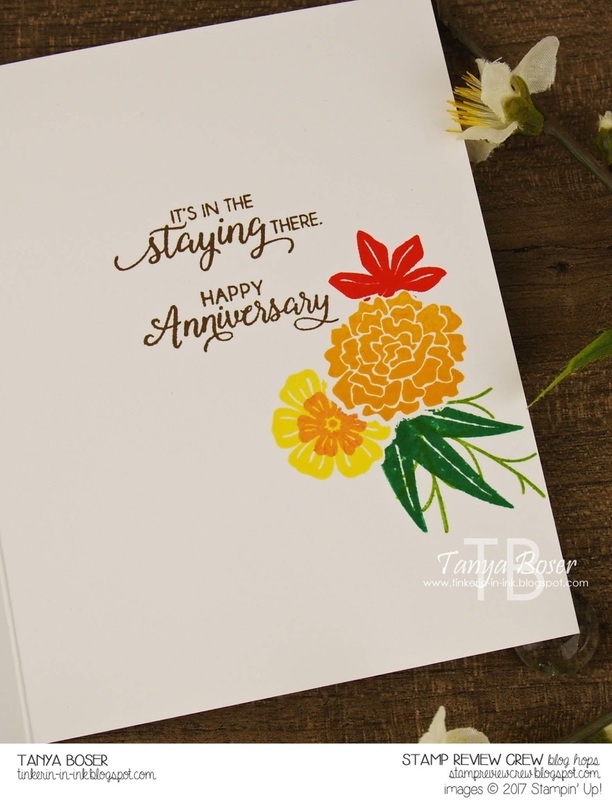 For this card, Geoffrey started by picking Wild Wasabi cardstock and the now retired Nailed It stamp set from last year's Stampin' Up! Occasions catalog. Another awesome set! 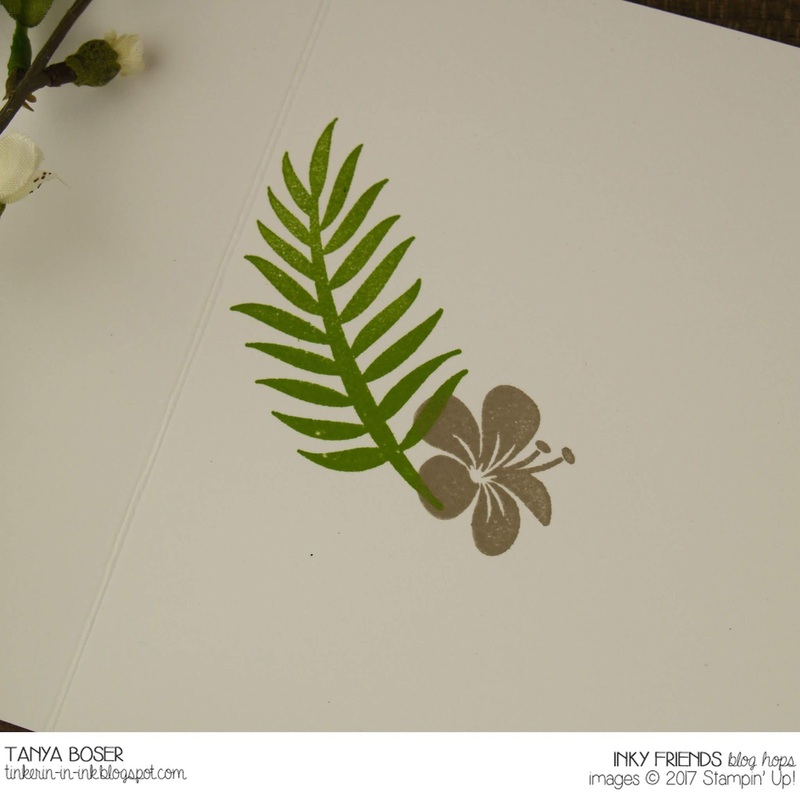 We stamped the images with Wild Wasabi ink, and copper heat embossed the sentiment. I hand cut the Crumb Cake layer, and used the coordinating Build It framelit die for the white layer. Geoffrey was mighty proud of himself for stamping these cards! As he should be. He is only 6 years old! I will try to link to as many of the products I used as I can, although many are retired. 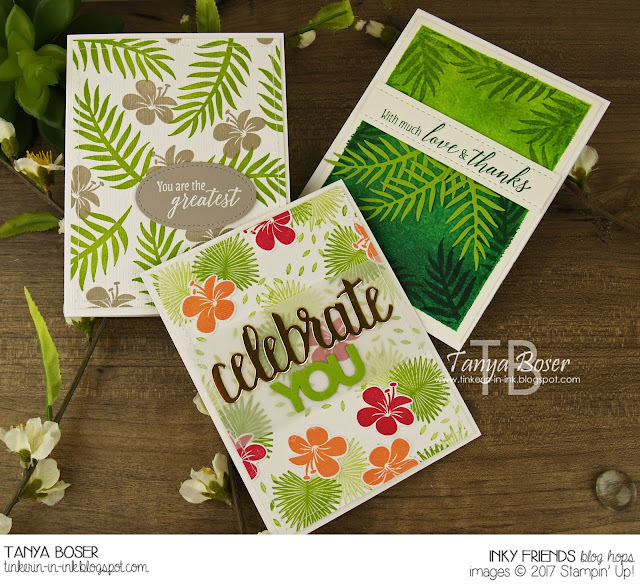 My Inky Friends and I are ready for a big Annual Catalog kickoff, and want to share some projects with some of our new favorites from this Annual Catalog! 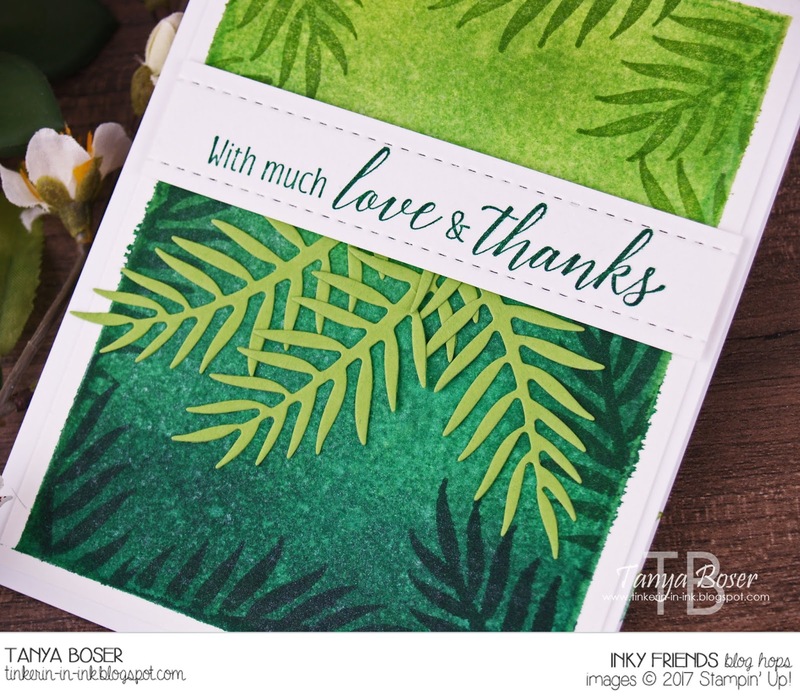 If you are following along in order, you just arrived from the lovely Shelly Zarling's blog where she featured Rooted in Nature! I am using Tropical Chic. This stamp set caught my eye in the new catalog immediately! I knew that I would be able to use it in so many ways, and with so many other sets. I could not wait to get it home! This is my very first creation with this set. I was going for the feel of a Hawaiian shirt, which my hubby loves to wear for weddings, graduations, and other special events in the summer time. Look at that delicious texture!! I am quite smitten, I tell you. Inside got a bit of stamping too. Next, I felt the need to play with some sponge-and-spritz color blending on watercolor paper. 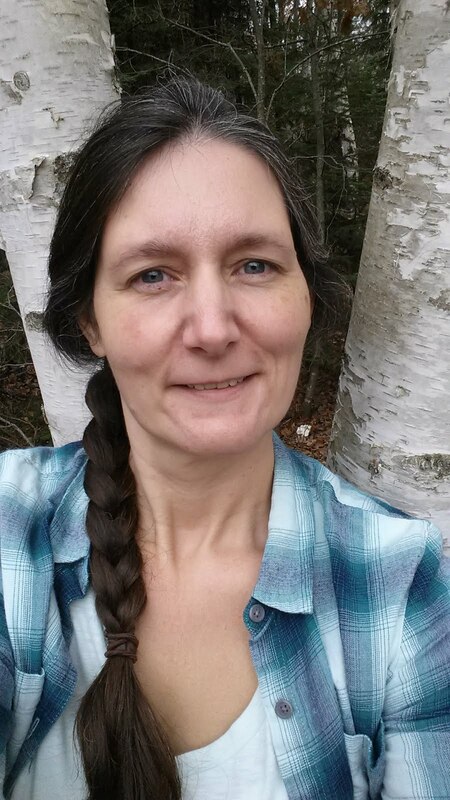 This is Shaded Spruce, Call Me Clover, and Granny Apple Green. Here is a video I did showing the sponge-and-spritz technique. The sentiment strip is a piece of watercolor paper with the sentiment stamped in Shaded Spruce, then I used the stitched line die from Stitched Labels framelits to add that detail. 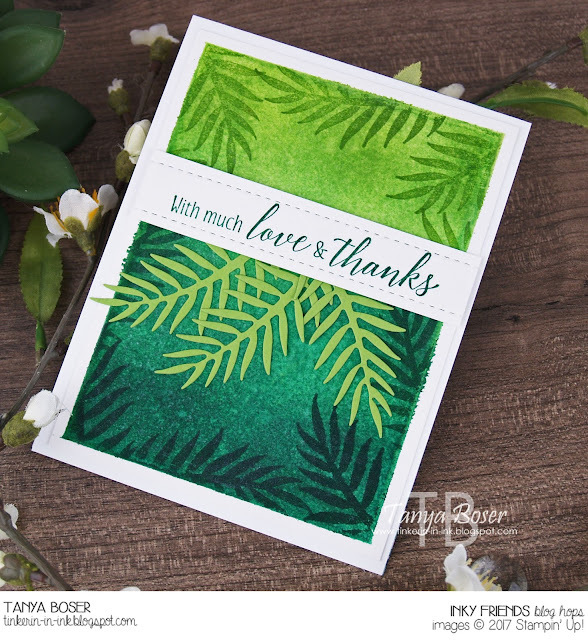 Some leaves die cut from Granny Apple Green are tucked under the sentiment panel. Inside, the leaf branch is inked up first in Granny Apple Green, then Call Me Clover and Shaded Spruce are sponged onto the stamp before stamping onto the card panel repeatedly. 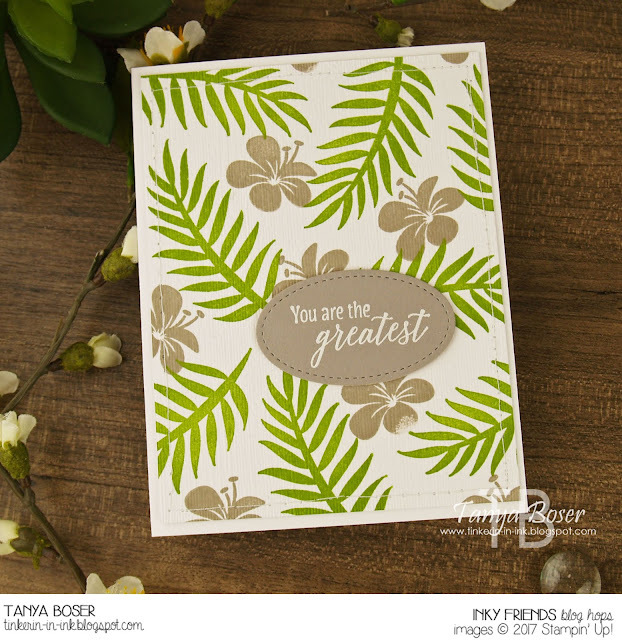 For this card, I started by stamping a bunch of the fan leaves and the filler leaves images in Granny Apple Green, some of them stamped off first. 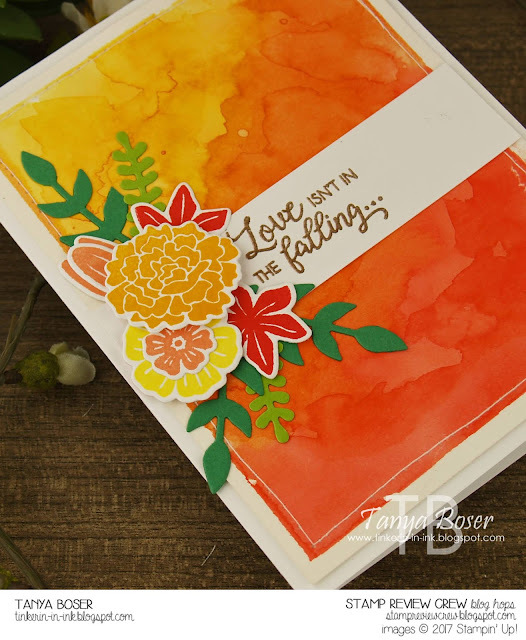 Then I stamped a bunch of Lovely Lipstick and Grapefruit Grove flowers, die cut them, then embossed with the Subtle embossing folder. 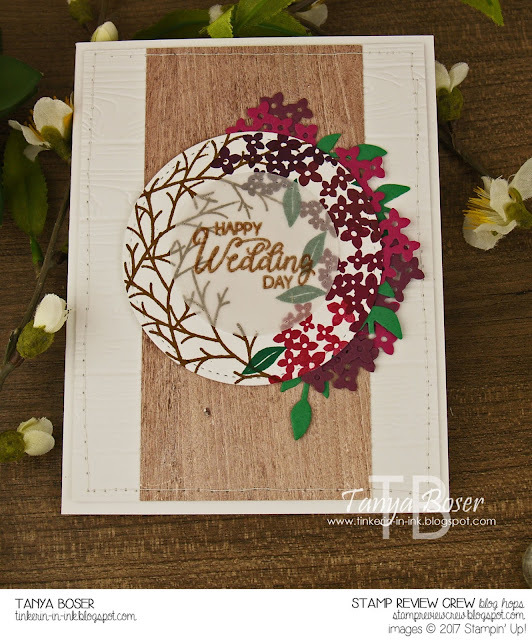 Then the flowers were adhered to the card panel. 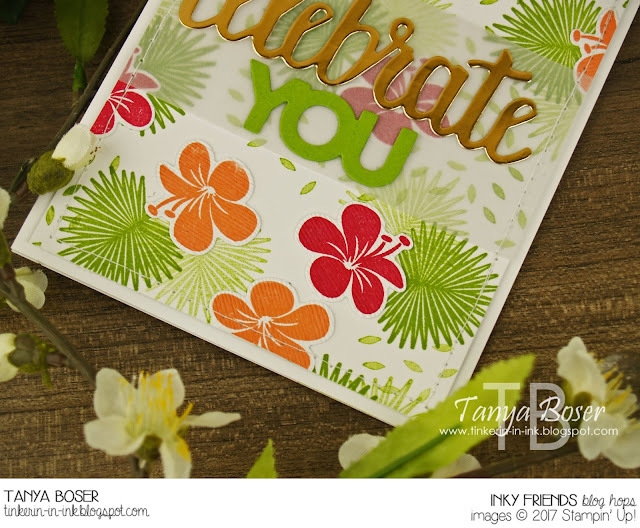 The words were die cut using the Celebrate You thinlits from Gold Foil and Granny Apple Green and adhered to a 2" wide strip of vellum with Fine Tip Glue Pen. Then stitched down to the stamped panel with my sewing machine. Seriously, stitching is so simple, requires no special machine, and no special skills. And you know it, the inside got some love too! That is it for me! I hope you have seen some of the potential this set has to offer, and get yours soon! 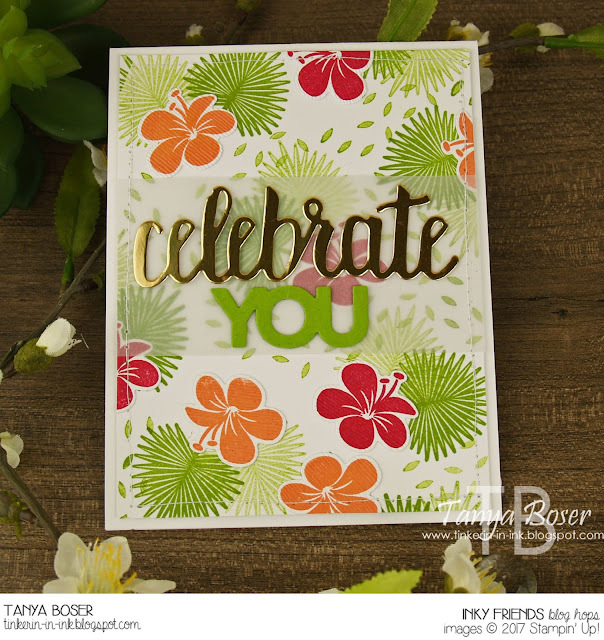 Time to go see what Sara Mattson-Blume has created with Enjoy Life!